In yesterday’s posting of the City Views series, I wrote that I wanted to take you up the Schloßstrasse, the pedestrian zone – but first let’s have a look at the parallel running Leineweberstrasse (literally linen or cloth weaver street – we have a lot of street names going back to the early industries of the city). 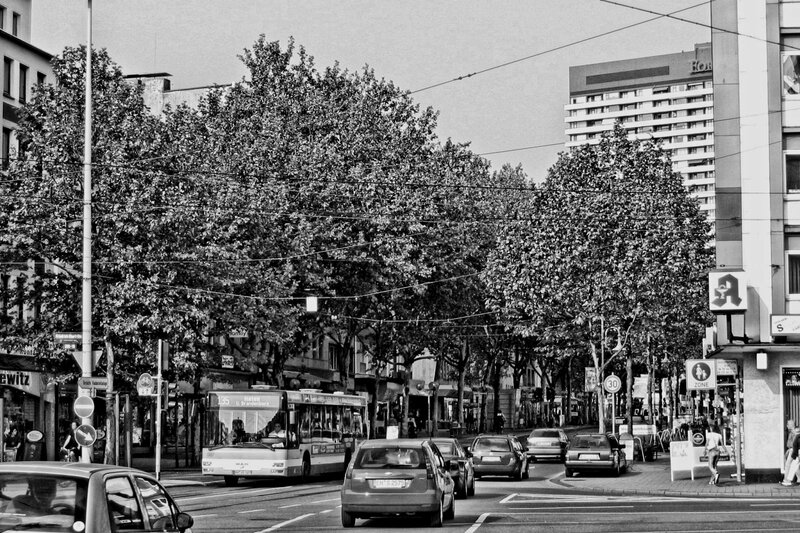 This is the view east in direction of the highrises and the shopping center – the street is actually just about 600 meters long and connects the river bridge to the Berliner Platz crossing in the west and the Kaiserplatz crossing in the east, where it meets the Kaiser– and Eppinghofer Strasse and becomes the Dickswall further west. It has always been a very busy street which today has an expanded sidewalk on one side and the street itself is shared between cars, trams and buses. Despite all the traffic, it’s actually nice to walk along because of all the trees! 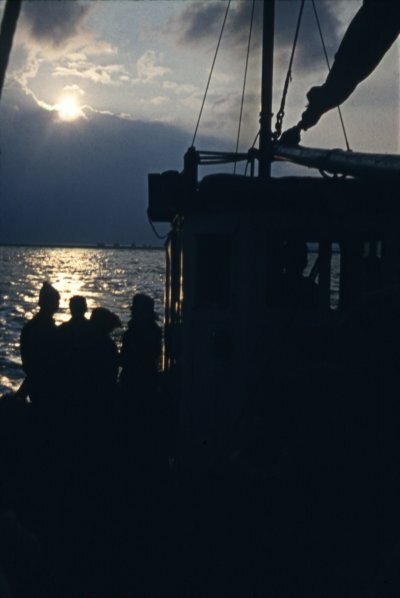 Sunrise in St. Peter Ording, August 1957.